Over the next few days I will be introducing a variety of moms that I have met through blogging. I asked them all a series of questions and have loved reading their answers – so I hope my blog readers enjoy them too! 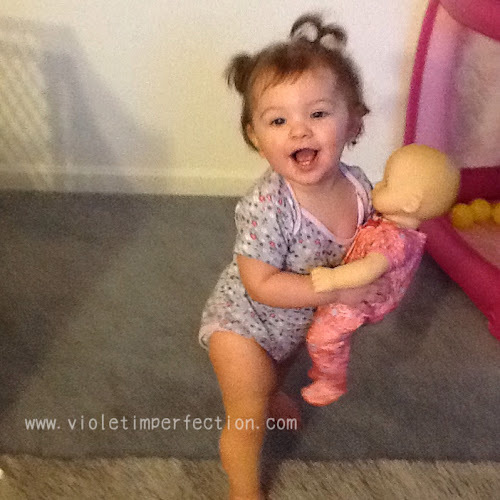 I am calling this series “A Mom a Minute.” Today, let’s spend a minute with Leslie from Violet Imperfection! 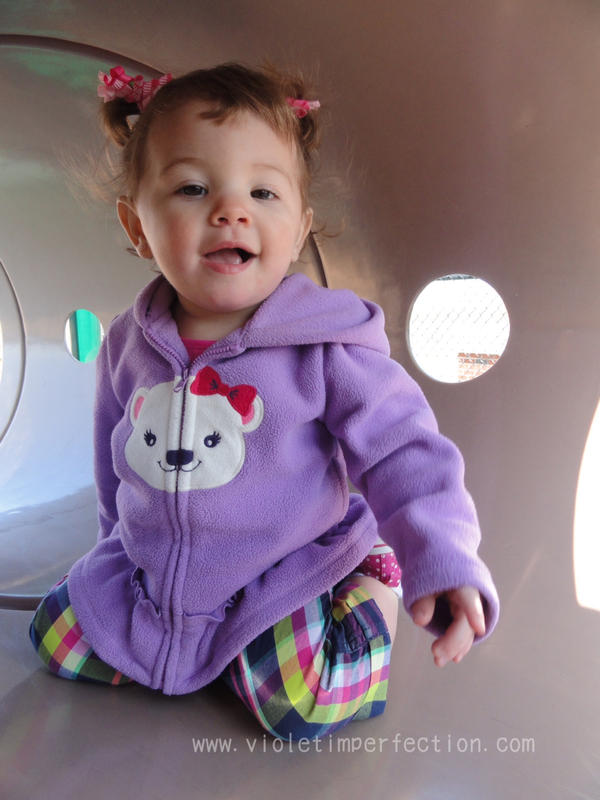 I have one daughter, Violet who is 13 months old. 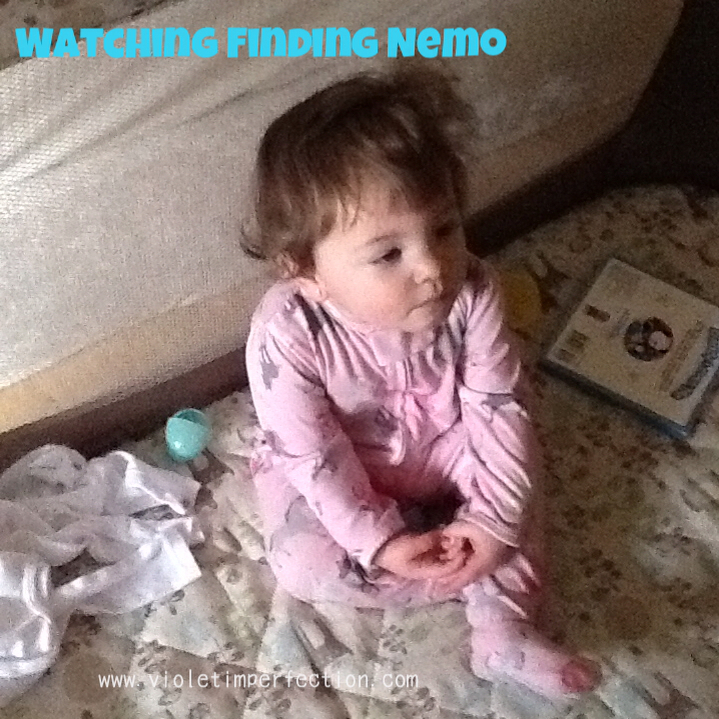 Violet’s favorite thing to watch is Finding Nemo. I never thought I would say I would get sick of Disney/Pixar movie but I am. She also loves Dinosaur Train, Sesame Street and Daniel Tiger. Violet love “pretties” she has necklaces and bracelets that she loves to play with. I would say her favorite toys right now are her baby dolls. I was really shy as a kid, heck I still am. I didn’t like trying new things. 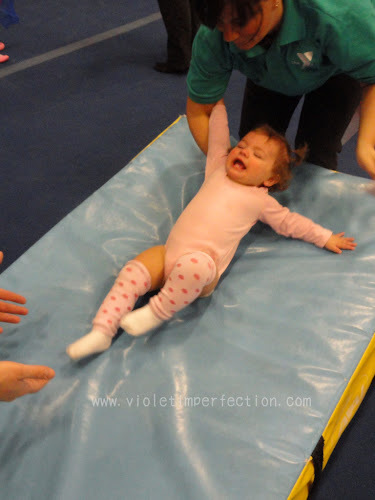 I don’t want that for Violet so after she turned a year I enrolled her in gymnastics. I wouldn’t say she doesn’t like it but she is going through a very clingy stage right now so it has been difficult. She cries when we try to do things but I make her try and we don’t leave early. We clap for the other kids and I try to be as lighthearted and fun about it as I can. It is not easy. I want Violet to grow up willing to try new things so we will keep at it. With Violet being so little we haven’t been to a ton of places. We love going to the library for Babies & Books story time. We have gone to the zoo and we love going to parks for fresh air. Violet is starting to like the swings. Violet is a great eater. We did Baby Led Weaning with her and I can’t recommend it enough. She will eat anything we give her. I am sure she will go through picky stages as she gets older but right now she eats whatever we do. 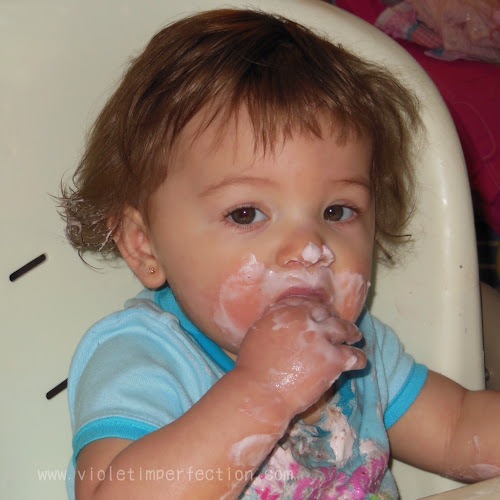 Her favorites are broccoli, pasta, olives, blueberries and yogurt. I would say my mom super power is being calm. 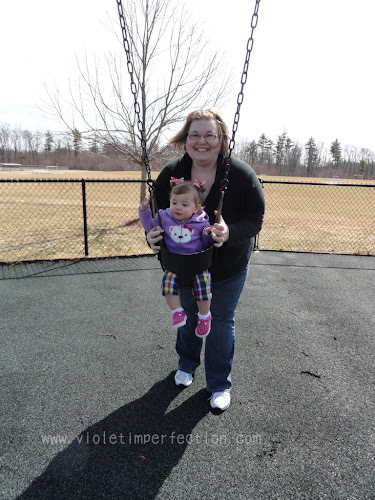 While I was pregnant with Violet I was sure I would be a nervous high strung mom. When she was born and we came home it was like a wave of calm washed over me. When she cried I knew what she needed, diaper explosion, no problem. It is odd because before I had her I was the very opposite of calm. Setting healthy examples for Violet. My husband and I have struggled with our weight our all whole lives and that is one thing we do not want to pass down to Violet. We want her to grow up healthy and active. I have done a lot of things I never thought I would do as a mom. For one I thought I would be much more strict in routines and I never ever in a million years thought I would co-sleep. 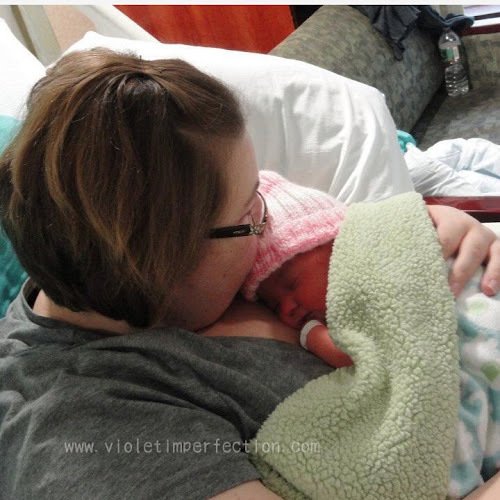 At the time it was what worked for us as a family and I cherish the time I had sweet snuggles with Violet. My biggest advice is to not listen to advice unless you ask for it. When you do ask for advice take it with a grain of salt. I do what works for us, it may not work for you and your child. Also be kind to other Moms. We are all tired, worry we are scarring our children while they cry when we are in the shower and a million other things. The screaming child in Target might be screaming because they are teething or just had a round of shots. Don’t judge, be kind. Don’t Forget to visit Leslie at her blog! I hope everyone has been enjoying this series so far. There are a few moms left, so stay tuned!